wow Kym you’re in a mooooovie? i’m going to that fake movie and you will be mesmerizing in it! Lol. ha ha. See that’s how good he is! imma bee wondering @thehorror. were you in mewsbuzz ind radio chatroom last night? “This supernatural terror is a definitely, 5 skulls out of 5 skulls, and the soundtrack is to die for alone. We are certain someone gave up their soul for it. Riveting, brutal, and on a scale of suspension of disbelief — DarkWorks brings to you like a dagger!” Strolling Bones Magazine. “There is not question in our minds of DarkWorks Entertainment taking home a few Academy Awards. Let’s hope they bring a wheel barrel to the Oscars!” Critic’s Cemetery Review. “First there was Eva Green playing the ‘Road Kill’ in her cameo performance disemboweled and her lungs laid out looking like ‘Angel Wings’. It’s not hard for Eva to play dead. Then came Kym Darkly smoking up the silver screen in her strong demanding feminine role in this epic horror that will no doubt, earn her ‘Best Actress’ at the Oscars!” Whispers from the Tomb Magazine. “Non-stop terror on a scale more menacing, more maleficent, and more vicious than a rabid werewolf! 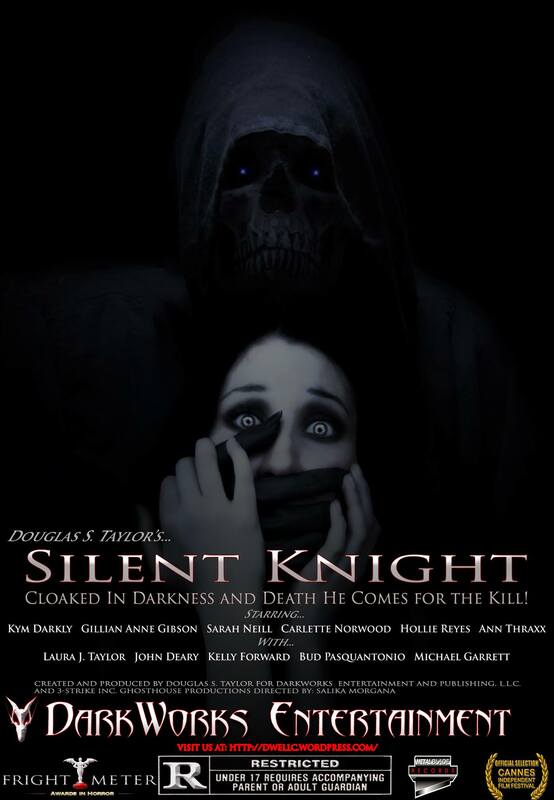 Darkworks Entertainment sets a new standard in horror from the likes we have not seen in a long, long time. Compelling, disturbingly realistic that will leave you in the fetal position in your seats in the theater!” Carnage Times.